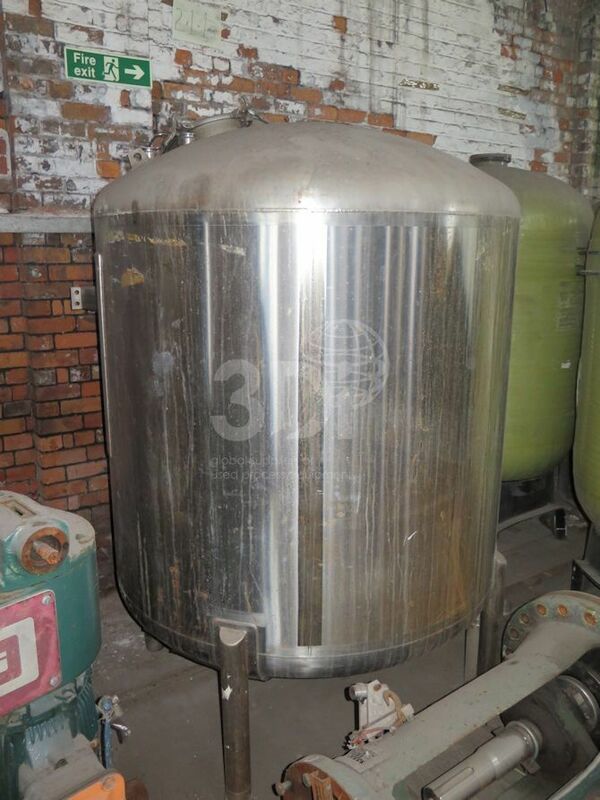 Used 3,880 Litre 316 Stainless Steel Pressure Vessel, manufactured by T. Giusti & Sons Ltd, 2003. Orientation: vertical, cylindrical, dished ends, on legs. 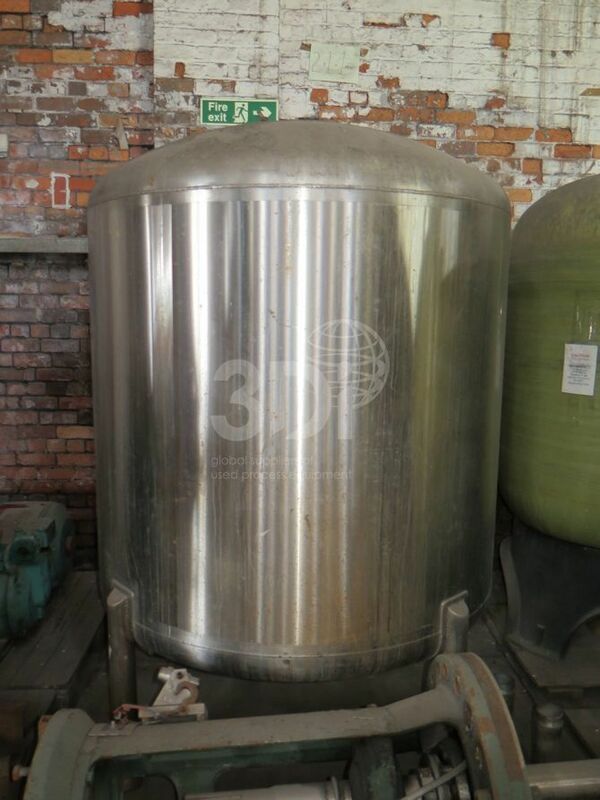 Dimensions: 1600mm diameter, 1400mm on the straight, 300mm dished ends. Connections: 50mm (2″) connections, 500mm top man way. Design data: PD 5500 CAT 3 design code, 2 bar g working pressure, 100 degC design temperature, 2.2 bar design pressure at 100 degC. Empty Weight 750kg. Previously used on pharmaceuticals.